When huge political debates are going on the nuclear bill and liability of nuclear suppliers after nuclear accidents …Did you think that after the Bhopal Incident our leaders were more careful about industrial and chemical disasters and its safety measures…and that’s why they had a huge debate on nuclear bill and its liability in Parliament …Then you are making yourselves fools …..I would like to invite you to Kerala-famously known as God’s own country. Famous for its greenery and natural beauty Kerala is a world famous tourist spot. Kerala has highest literacy rate in the nation. But Education and lust to earn more have made keralites fools. They have started clearing paddy fields and coconut farms and turned into cash crops such as rubber and cashewnuts. In the run to greater yield …Malayalees are using unethical and harmful pesticides in cashew plantations. Now let’s visit a district in Kerala – Kasaragod ………once known for its greenery today Kasaragod is haunted by diseases and tragedy. Thanks to hamlets of cashew plantations spread along the district. The diseases are side effects of ENDOSULFAN a deadly pesticide sprayed in these plantations. The UNO classifies ENDOSULFAN as highly hazardous pesticide and banned in 62 countries. Even though Endosulfan is banned now ….for 26 years Kerala Government sprayed the deadly pesticide in government owned cashew plantations under Plantation Corporation of Kerala. The Pesticide was sprayed aerially with specially used helicopters .As the plantations are mainly in mountainous areas, the pesticide drains and gets washed down the slopes during rains into drinking water below. Consuming this water will result in diseases ranging from physical deformities, cancers, birth disorders and damages to brain and nervous system. During 2000-2001 the victims got huge media exposure and resulted in Study on the victim’s .The study of Endosulfan effects showed greater Abnormalities such as mental retardation, cancer and infertility in the victims. 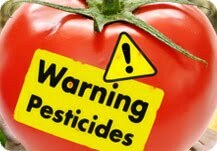 But the pesticide and fertilizer industries where very fast to rubbish the studies. Endosulfan is manufactured and distributed in India by Hindustan Fertilisers limited. It’s clear that the usage of the Pesticide on the Kerala government owned cashew plantation was a result of nexus between Government officials and Pesticide industries. In Kerala all other cashew plantations are grown without pesticides. The Kerala government spend millions on Pesticides to increase yield and have poisoned the fertile land. India is the largest producer of Endosulfan in the world and also the consumer. It’s not only Kerala facing the dilemma of Endosulfan, Recent reports show some parts of Karnataka too affected badly by the usage of Endosulfan Pesticide. Even though the Kerala cashew plantations corporation has stopped aerial spraying Endosulfan in Kasaragod instead they have started using a newer pesticide. Endosulfan has been banned for 2 years in Kerala but Kerala Government is discussing about revoking the ban. 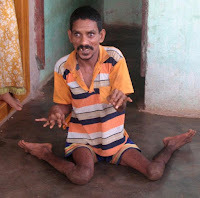 People are still facing the side effects of Endosulfan in Kerala and Karnataka but the Indian Government has not yet banned the deadly chemical. The Pesticide is still used for cotton and Cashew plantations in many parts of the nation …Karnataka, Punjab, Assam and Andhra Pradesh. India needs an effective chemical norm and should enact a chemical & pesticide policy which would help people affected from chemical accidents & disasters; also stop usage of deadly pesticides for agriculture. Even during the Bhopal gas tragedy Government did nothing for the victims. 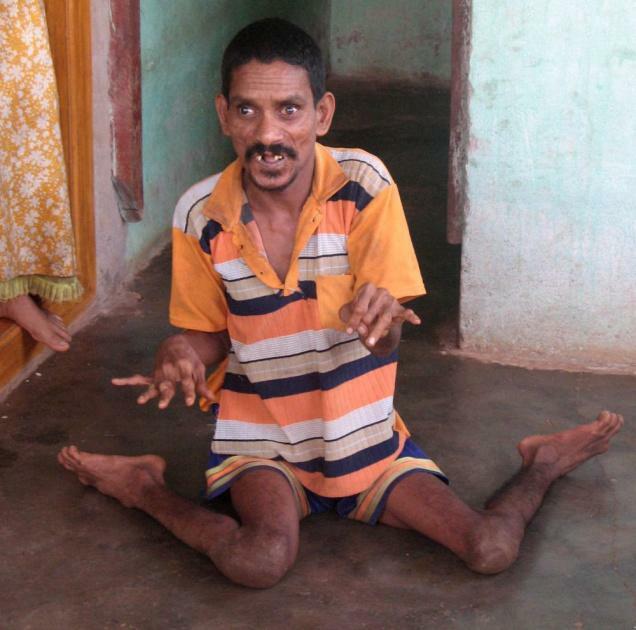 The victims of Endosulfan also were turned down by the Government ….It is clear that all these chemical disasters are due to ignorant and negligent policies from the Government…..
Join my campaign against Endosulfan and help ban Endosulfan in India …..Post your comments ...and share this post. Read more about the unholy link between the Chemical industry and Indian government in the following link. Sometimes I feel education does not necessarily lead to empowerment. Kerala makes a perfect case study. Kerala not just being God's own country but also education's own country have in many instances like the one you mentioned here failed to leverage their knowledge empowerment. Instead the empowerment have lead to more greed and indifference. It applies to many of other enlightened educated breeds across India too, including me perhaps. This is very sad, for once, Indian government should see how the American government responded to an oil spill. I used to be all proud of my land, the gods own kerala, but incidents like this is like a stab! I remember reading about this during my school days.. Sad that nobody is still not bothered about it..
How can they even think of revoking the ban? This country is literally run by a bunch of idiots! Its indeed sad to hear about such atrocities. I thought that the chemical is banned in the state. I read in the newspapers that farmers get it from other states via middlemen. And they are still using it on their crops.. Are'nt such things monitored by some Government agency? our country is going to the dogs.i am so deeply concerned that they are trying to revoke the ban.people should protest.the coup has been remaining virtually silent these days.this is deeply upsetting. can't believe that these physical abnormalities are due to Endosulfan. Why are there no reported abnormalities in animals and birds in the region who are also consuming the same water contaminated with aerial spray of the pesticide? Death due to pesticide poisoning would have occured to smaller creatures such as butterflies besides the intendent pests. I think that the actual reason for the genetic disorders may be several generations of consanguinous marriage (marriage of close relatives)which prevails in large pockets of Malabar area. The problem with researchers is that they do not take into account other factors which could have led to these genetic abnormalities.